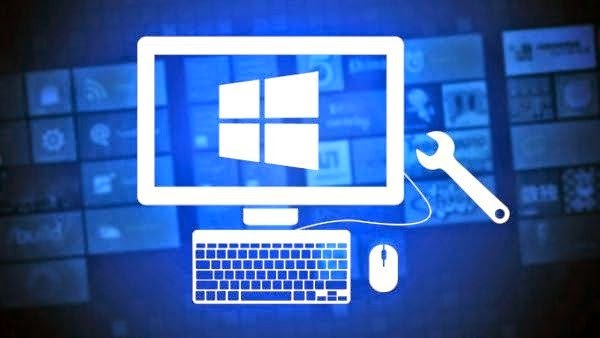 Starting from your windows 8 has been added List winX It is a list that contains the most important tools and options as well as the tracks and that you may need on Windows. As the name winX is not the official name of the party Mkrosvet but name invented by a group of sites, because in fact Mkrosvet did not give him any naming technique and his legacy is hidden! The list winX may find nominate another as a power user. 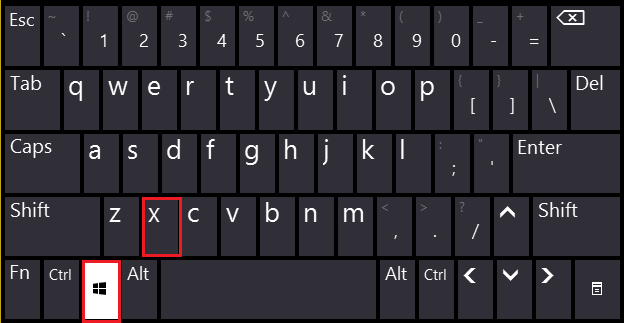 And between both Altzmatin the function winX which can Tlj it by pressing the following buttons on the keyboard a successively: windows + x. 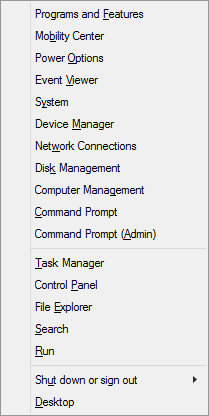 As noted When pressing these buttons, you are in front of several options such as run a command prompt stomping powers Director, or run as well as it enforceable orders to run, access to the Control Panel Baloyndoz .... and other options. In fact, this add-on to Windows 8, although it did not cover the loss of the Start menu and classic that has been remedied in Windows 10, but it facilitates dramatically access to these various tools bigger than search for them quickly in the Start Menu known, and this is due to that list winX not contain However, the necessary tools and the most widely used and tracks! .